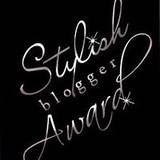 What Shall We Do with a Stylish Blogger? 1. Done. Do I need to say anymore? Oh, alright... Stuart is busy blogging about gamebooks and what makes them tick. Head over and let the man know what you make of his thoughts. 2. Seven things? I've not even sure there are seven things to know about me, but we'll give it a go. 1. I'm a huge fan of Doctor Who and have been since I joined the local fan club at the end of 1989. 2. My favourite colour is green. 3. I've not met a single person who hasn't described my taste in music as being rubbish. Pick a band/singer you hate and there is a good chance I'll like a song of theirs (as long as I've actually heard of them). 4. I'm a Liverpool supporter. 5. I've recently taken up karate (orange belt here I come). 6. Worked as a porter/chef in the UK and as an English teacher in Japan. 7. I'm a fan of The Goon Show.